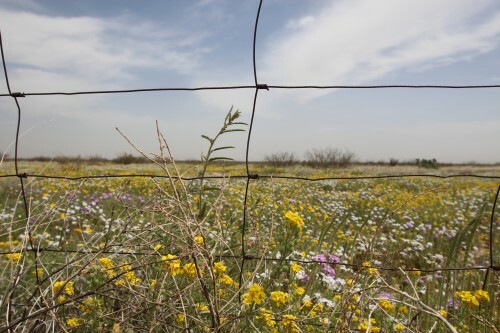 PRESIDIO, Texas — As we reported this summer, the proposed Trans-Pecos Pipeline is in the news again because of trespass allegations made by a landowner against surveyors working for the pipeline company — Energy Transfer Partners of Dallas. There is, however, at least one group of people who hope any number of disputes surrounding the project are settled — quickly — because they want natural gas online as soon as possible. Now a key player in the city’s plans to grow its economy with natural gas has told us he plans to start construction of a chili processing plant this month. Biad Chile Company, headquartered in Las Cruces, New Mexico, is moving one of its three processing plants from Arizona to Texas. The firm processes chili peppers, dehydrates them and sells the finished product to manufacturers of processed foods such a fried potato chips. The plant will be located on 5.5 acres, about 12 miles west of Presidio along FM 170, the road that hugs the Rio Grande between Presidio and Terlingua. Even in its pitch to local governments, the pipeline company is clear that it’s not an energy company. Energy Transfer — like the name implies — moves commodities like natural gas. The Dallas company is being paid by Mexico’s gov’t to ferry natural gas from the Permian Basin into Mexico to run electric power plants in that country. But there’s a pocket of borderland Texas within the proposed pipeline corridor that has no access to natural gas, Presidio, which hugs the Rio Grande opposite the town of Ojinaga, Chihuahua. The City of Presidio says business in this part of the border would benefit with the advent of natural gas. And there some private citizens here who feel the same way. Roberto Calderon owns a bustling restaurant. But he pays about three times as much for propane to power his stoves than he would if he could get natural gas. “Every 10 days, $200,” he explained. That’s around $600 a month for propane to power his stoves. If he had natural gas, his bill would be considerably less. “Right now the the only option is the propane and maybe with another option we can have price or better options for the consumidores,” he said using the Spaanish word for consumers. The City of Presidio often cites the example of the chili pepper processing company, reasoning that if only natural gas were available here, industry and job creation would inevitably follow. Even before a final route for the Trans Pecos Pipeline is agreed upon, the chili company’s chief told us that he’s “signed an option on a piece of property, found a contractor and hopes to start building before” Sept 30th. The company gets some of its peppers from Mennonites in Oasis, south Ojinaga. “When you’re manufacturing something, then comes the retail. Then comes something I really like and that’s the sales taxes,” said the City of Presidio’s Economic Development Director Brad Newton. He ‘s a proponent of the proposed pipeline. The chili processing company is making a commitment to relocate one of its plants from Arizona to Presidio based on the expectation natural gas will be available. But there’s another consideration that hasn’t been resolved. Energy Transfer VP Rick Smith said in the Spring that his company would install taps on the pipeline that others, like the chili pepper processing plant, Roberto Calderon’s restaurant, or the city could use. But West Texas Gas, which has contracts in this part of Texas, says it’s only held exploratory talks with the city, meaning there is no plan in place, at least not currently, to physically move the natural gas from the pipeline and into the city itself. This story was reported by Lorne Matalon in collaboration with Fronteras: The Changing America Desk. Fronteras is a consortium of NPR member stations in the Southwest. This entry was posted in KRTS News and tagged city of presidio, Energy Transfer, Natural Gas, Trans Pecos Pipeline. Energy Transfer, west texas gas. Bookmark the permalink.